Started by former EMI boss Guy Robinson in 1978. 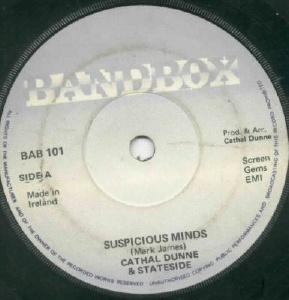 Bandbox Ltd's address was at 3 Lower Mount Street, Dublin. Cathal Dunne is a crooner who represented Ireland at Eurovision and still packs them in on the cabaret circuit. The A-side of his single is an Elvis Presley cover. 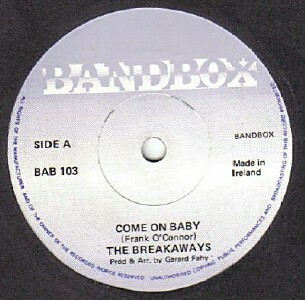 The Breakaways were an obscure outfit active as early as 1974 with one single to their name. The A-side is reputedly a good poppy track with a neat organ break; the two tracks on the flipside are country versions of well known songs.